Sounds pretty great for a free service (if you have the qualifying insurance, obviously), and may help to soothe any envious pangs you felt following the demonstration of HTCSense.com’s new security features. I must say, this is a pretty brilliant move on Asurion's part; customers can now try to recover their phones instead of filing insurance claims - everyone wins, and at what cost? Free to consumers and a small initial investment to Asurion. Great move. Sprint, T-Mo, AT&T, are you seeing this? To download Mobile Recovery, customers can text “GETMR” to 6967 which will prompt them to download the application and complete the simple account setup. Data usage charges may apply for download and use of this application. From the MyMobileRecovery website, it appears that all of Verizon’s Android line-up is supported, so go ahead and give it a try. BASKING RIDGE, N.J. – Verizon Wireless, the leading wireless company with the largest, most reliable voice and 3G data network, and Asurion, a global leader in technology protection services, today announced Mobile Recovery™, a web- and phone-based application that can help customers in the event they lose or misplace their phones. Asurion’s Mobile Recovery app, now offered at no additional charge as part of Verizon Wireless’ Total Equipment Coverage program on compatible devices, also enables customers to remotely lock the device, sound an alarm and wipe contacts from the phone. If the phone is not recovered, Total Equipment Coverage provides next-day replacement. · Sound Alarm – Customers trying to find a lost phone can use the “Sound Alarm” feature which triggers an alarm, even if the phone is on silent or vibrate mode. · Locate Phone – If the phone is outside audible range, customers no longer have to retrace their steps looking for it. As long as the phone is powered on and within Verizon Wireless’ coverage area, the “Locate Phone” feature uses GPS to provide the location of the missing phone, complete with a map and address, and the option to get turn-by-turn directions. · Secure Phone – Once customers have determined their phone is lost, they can use the “Device Remote Lock” feature to prevent unauthorized use, or the “Device Remote Wipe” feature to remotely erase contacts from the device. If customers are unable to recover their phones with Mobile Recovery, they can simply file a claim online and get next-day delivery of a replacement device. Customers can use Backup AssistantSM, a free wireless application from Verizon Wireless available on many devices, to save a copy of the phone’s address book to a secure website, allowing customers to restore their saved address books to new phones wirelessly. Verizon Wireless reminds customers they should not attempt to retrieve their devices from any location that is not safe, unrecognized or unfamiliar. If a device has been stolen or is in an unsafe or unfamiliar location, customers should contact local law enforcement. Mobile Recovery is available to customers with compatible devices at no additional charge as part of Total Equipment Coverage. 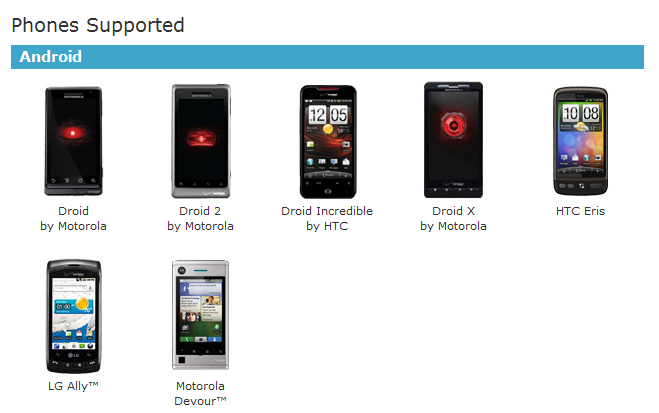 A list of compatible phones can be found on the Mobile Recovery website. To download Mobile Recovery, customers can text “GETMR” to 6967 which will prompt them to download the application and complete the simple account setup. Data usage charges may apply for download and use of this application. Lock functionality does not apply to data on removable memory. 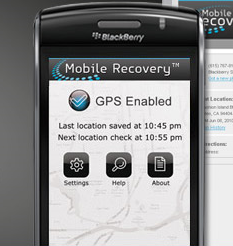 To learn more about Mobile Recovery, visit MyMobileRecovery.com. For more information about Verizon Wireless products and services, visit a Verizon Wireless Communications Store, call 1-800-2 JOIN IN or go to www.verizonwireless.com. Verizon Wireless operates the nation’s most reliable and largest wireless voice and 3G data network, serving more than 92 million customers. Headquartered in Basking Ridge, N.J., with 79,000 employees nationwide, Verizon Wireless is a joint venture of Verizon Communications (NYSE, NASDAQ: VZ) and Vodafone (LSE, NASDAQ: VOD). For more information, visit www.verizonwireless.com. To preview and request broadcast-quality video footage and high-resolution stills of Verizon Wireless operations, log on to the Verizon Wireless Multimedia Library at www.verizonwireless.com/multimedia. Asurion is the global leader in Technology protection services. From lost, stolen and damaged wireless handsets to malfunctioning computers or HD-TVs, Asurion provides more than 90 million consumers worldwide with best-in-class, next day device replacement. The company can also protect user content and software. Asurion is the exclusive provider to many of the world's premier telecommunications and retail companies. Asurion is privately-held with more than 5,000 employees and operates in six countries across three continents. Headquartered in Nashville, Tennessee, Asurion is on the Web at www.asurion.com.